Long, taxing flights, hours of walking down unfamiliar streets with no one but yourself to problem solve can make solo travel a draining feat. Just being in a new place with a different climate and environment will lead you to a point of "bone tiredness" or exhaustion if not addressed properly. Having "low energy" is no fun and can greatly damper your trip! One of the ways I combat solo travel fatigue is by going to a spa. Happily, with a growing focus on health, wellness and beauty around the world, there are now a variety of spas from which to get refreshed and rejuvenated. Turkish Hamams, French beauty and body treatments, Finnish saunas, Thai massages, Chinese acupuncture, Indian Ayurveda, yoga or meditation or a week long, Germanic cure holiday are a few of the spa experiences I have had the good fortune to enjoy. One of the most invigorating and relaxing experiences was the Russian Banya as well as the Forte Village Spa. By now you can tell I like to be pampered on the road. Before any trip longer than three days, I always research potential spa options. In my pre-trip Russia research, I learned the Russians have a unique spa treatment, the banya, that has been practiced for centuries which is both a healing experience and a social outing. Going to a banya boosts your metabolism and your cell’s oxygen level, promotes good blood circulation and clears your respiratory and sinus passages. The Russians believe it is both preventive and healing; an important practice to ensure a long life of robust health. On my last trip to St Petersburg after a long twenty-plus hours of flying and layovers, I decided I needed a boost to get me over my bad case of jet lag. My hotel, the elegant Taleon Imperial, had a wonderful spa fully equipped with a lavish indoor pool, massage rooms and a banya- a rarity for even this fine, five-star hotel. The concierge informed me because it was so late I could have a banya treatment, but I would have to rent the entire spa area in order to have the banya professional travel back to the hotel to serve me. Total cost, $300, I said, "Book it." At 10 o'clock on the evening of my arrival, I found myself relaxing in the hotel's refined pool area feeling overwhelmingly thankful that I was so fortunate to be able to experience such VIP pampering. The spa's frescoed walls with recessed sculpture bays filled with orchid planters, the sophisticated and modern furniture, the enticing swimming pool and my plush, terrycloth robe helped me begin to relax and made me feel a tad regal. From my research, I knew a banya had a small room or building known as the "parilka" which is designed like a sauna with multiple levels of benches but instead of dry heat like a sauna, it had wet heat. Basically, you can think of a parilka as a hybrid of a steam room and a sauna. The temperatures can exceed 199 degrees Fahrenheit which requires you to wear the traditional felt cone-shaped hat or a towel on your head to prevent overheating while inside. (Boy is this a sight!) Even with the head covering, it is extremely hot in a steam filled banya, be forewarned. Finnish birch veniks. Photo by kallerna via Wikipedia. Once inside, you lay on a towel covered bench and begin to sweat profusely for the first five to ten minutes. The heavy sweating opens the pores and releases the toxins from your body. Some people have to briefly step out every 10 minutes or so just to cool down . Others, opt to take a dip in an ice-cold plunge pool before returning to the parilka. The next phase of the banya is the venik massage which I must share is one of the strangest massage techniques I have ever lived through. Though not painful, it is a massage where a masseuse rhythmically beats you with two bunches or "pom poms" of either oak, birch or eucalyptus leaves called veniks. The two pom poms are first dipped into a bucket of extremely hot water, after which the massage begins with the waving of the venik bunches over the body creating convective heat. The leaves release phytoncides which is a plant substance that mitigates the spread and creation of pathogens. This initial waggling of the veniks is supposed to prepare you for the ever increasing, more intense procedures that will follow. Next, there's stroking and the compressing which involves pressing the vernik bundles against the body from head to toe and against the waist, shoulders, knees and feet for two to three seconds. Then as the rhythm speeds up, the attendant continues the stroking and compressing techniques but next, adds lashing to the mix. The lashing is really just light strikes to the body that sting the body just enough to make the skin flushed, all geared to promote good circulation. The procedure is finished with the two venik pom poms pressed on the waist and finally, a head to toe swish. The entire massage lasts for about fifteen minutes and then it's time for the dreaded cold pool plunge. I explained to the attendant that I greatly dislike cold swimming pools and asked if I could just use the regular spa pool to cool off. He said, "Sure, it's your choice." After a five minute cool down in the tepid pool water, it was back and forth into the parilka another two times until I called it quits. Typically, Russians will alternate the vernik massage and the cold pool plunge five or six times before they are through. After this one to two hour body meltdown, you are given water or tea to drink to further flush out the toxins. Many Russians like to socialize after their banya by drinking alcohol such as vodka or beer; some even conduct business after a banya. Because I had rented the entire spa, I opted for a traditional massage to take me to the point of relaxation nirvana. 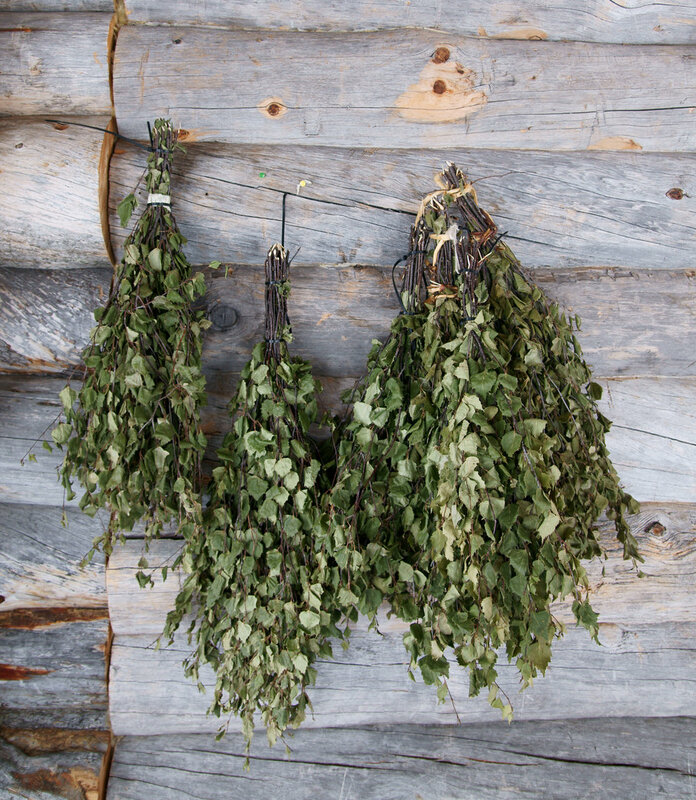 When in Russia, Try the Banya! So the next time you are traveling to Russia and need to get over a bad case of jet lag or just want to relax and be pampered, head to a Banya Spa. You will be glad you did! With this said, I must share a word of caution. If you have any health problems, especially a heart condition, high blood pressure or diabetes, consult your doctor before indulging a banya massage and get the OK that your health is strong enough to partake in this type of body treatment. Choosing a healthy restaurant in New Orleans does not mean you have to compromise flavor. If you’re visiting the city, we encourage you to enjoy all the traditional New Orleans delicacies, but if you find yourself craving something a little lighter, check out this list of 7 healthy and delicious restaurants! Loneliness or the fear of feeling lonely is something I hear about often when someone is considering solo travel. In this new episode of my solo travel podcast, Solo Travel Talk, there are a lot of strategies discussed help travelers while traveling alone, all with the aim of protecting your mindset and staying upbeat and happy on the road. Planning for a solo trip can be a difficult and stressful. You can spend hours scouring the internet looking for the best deals. Listen to this episode of our Solo Travel Talk podcast for some great travel tips about a few excellent trip planning tools and resources and how to use them to make traveling alone more affordable and enjoyable. New Orleans is home to some of the best jogging and running trails, fitness studios, and gyms. Whether you’re a local trying to change up your fitness routine or you’re a traveler wanting to drop in on a class, there are so many ways to squeeze in a workout!